We, the Norchem have entered the Pharmaceutical industry by the beginning in 2014. By fulfilling the requirements and maintaining the international standards, we are an ISO 9001-2015 certified Pharma company. 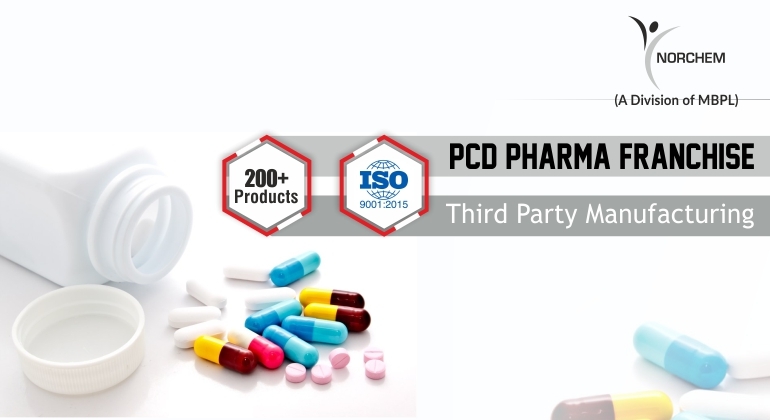 Here, in this short period of time, we have become the most recommended Pharma Company for third party manufacturing/PCD Pharma Company in India. We are into various kinds of formulations, as we provide tablets, capsules, syrups, injections, and ointments etc, as our main focus is in Analgesics and Anti Inflammatory Tablets, Antibiotics and Anti Infective Tablets & Antiemetic and Anti Ulcerants Tablets and other life saving drugs.